We have a new logo and to celebrate we’re hosting an evening of creative fun! 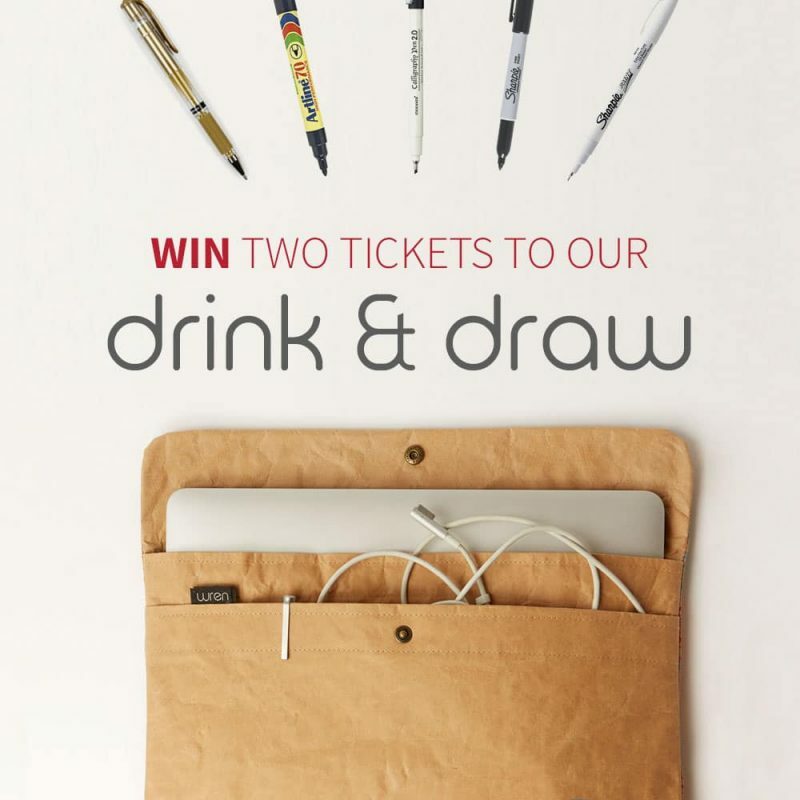 You could win double tickets to our invite only event of drinks and doodling. One lucky winner and their partner will be given a Wren paper sleeve (size of their choice) to customise. We provide the materials, you bring the inspiration! We’re @thewren on Twitter and @thewrendesign on Instagram. *There will be a cash bar on the night, snacks will be provided. *Wren reserves the right to photograph your designed sleeves and use the photographs in promotional material and on social media. *Art materials will be provided (as these have been tried and tested for suitability on our paper and with our coating). *The sleeves will be provided uncoated. At the end of the event, Wren will collect the sleeves to coat them with Nano Liquid Glass (making them water resistant) and return them within 2 weeks (drop off or collection). This entry was posted in Blog and tagged #drinkdrawct, competition, Drink & Draw, event, Muizenberg, new logo, the wren design, Win. Expat living leaves you suffering FOMO!